Immedium Publishers keep putting out great books by some of my favorite artists. 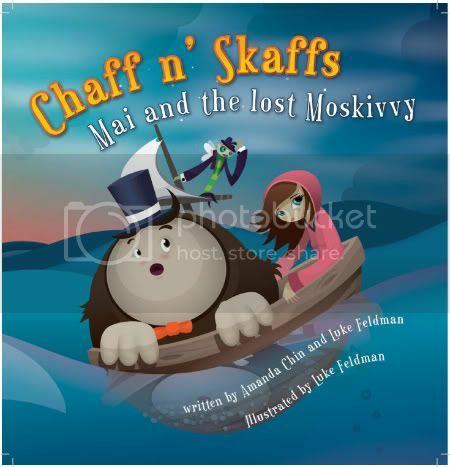 Their newest book, set for release in May 2009, is Luke Feldman's Chaff n' Skaffs 'Mai and the lost Moskivvy'. I first became a fan of Feldman's illustration when I saw his Pop Cling wall vinyls and then his toy prototypes at Comic Con. 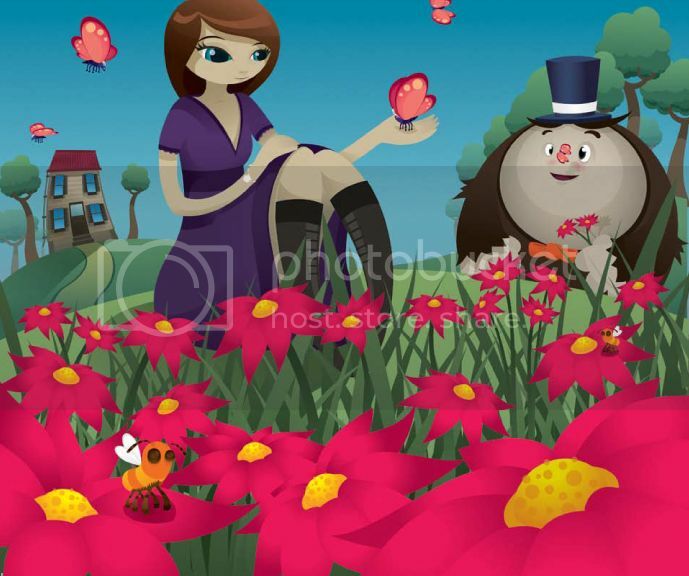 This book presents a whole new depth to his wonderful bold illustrations. Not only am I loving the main characters in the book- especially the super cute Chaff (check out that top hat! 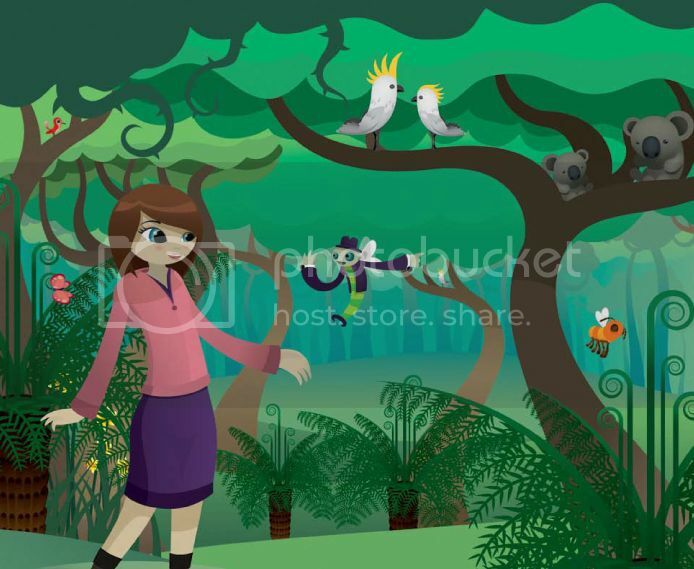 )- but the lush scenery and creatures in the backgrounds make the illustrations come to life. 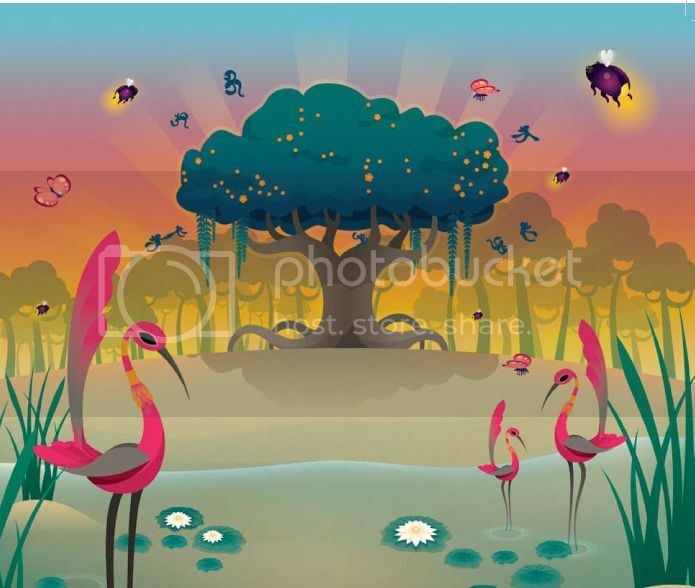 The story is one of compassion, courage and adventure, as a lost mosquito, Moskivvy, is helped back home with the help of his two new friends, Chaff and Mai. 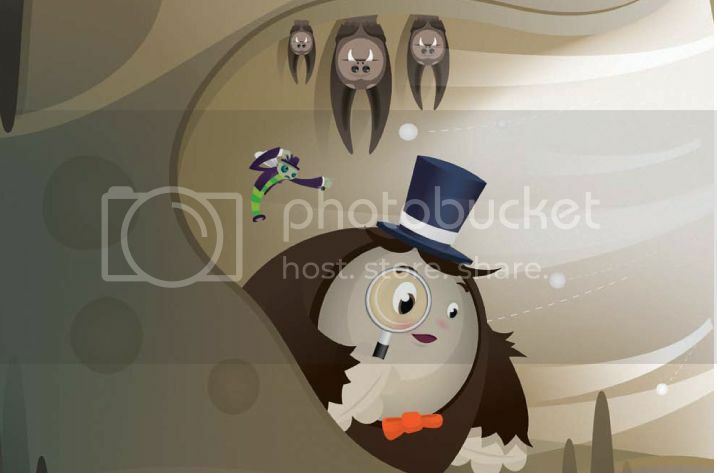 See more wonderful preview images from the book after the jump.